The Venom toy hauler is an awesome option for anyone who is really looking to take their RVing to the next level. More than just a comfortable place to lay your head, the Venom also comes with a spacious garage in the rear with which you can tow all of your favorite gear. Stylish interiors also make the Venom a wonderful place for your family to really rest their heads and enjoy the great outdoors without having to weather the harsh elements day and night. Residential fixtures and sun-room style screens in the garage area, the Venom is an RV that is designed to satisfy. We are offer awesome Venom toy hauler floorplans for sale, including the 3911TK, the 4011QK, 4013TK and more! If you are interested in learning any more about the fantastic RVs that we carry here at Fun Town RV in Cleburne, you can get driving directions to our dealership to see some of them first hand and take a tour! We have a little something for everyone here, so if you see something that you like, contact us today and we will be happy to answer any questions or give you more details on anything that you see. We can't wait to help get you into the RV of your dreams! 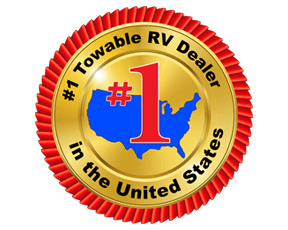 We'll make sure you've got the information necessary to find the right RV for your needs.